Quick Shot is a body shop safe vinyl & plastic coating great for automotive trim. The long lasting, mirror like coating needs no wiping, just spray on and walk away! Bucket grate, fits most gallon and five gallon buckets. An extremely buffable, gray lotion that quickly removes heavy (up to 1200 grit) scratches, oxidation and orange peel from any painted surface. Ideal for high volume shops, it is VOC compliant, generates minimal buffing residue and features a spicy cinnamon fragrance. Only available in quarts. 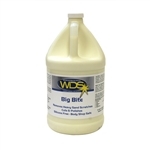 A banana scented, yellow lotion that quickly cleans any paint system with no swirl marks. It effectively removes light (1500-2000 grit_ scratches, blemishes and oxidation while generating a deep gloss. It stays "open" longer than most compounds, and is VOC compliant. Available in quart bottles. 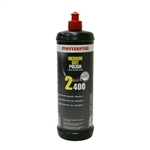 Replaced Menzerna Power Gloss. 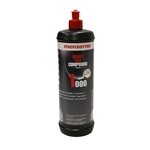 Heavy cut compound for pad use. Swiftly eliminates small scratches and sanding marks. Free of silicone and fillers. One quart. 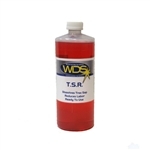 A purple, body shop-safe, VOC compliant, spray on-wipe off cleaner that removes dust, smudges and fingerprints from automotive finishes while generating gloss. Ready-to-use and features pleasant jasmine fragrance. 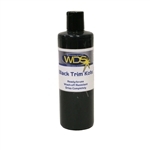 A mildly abrasive, VOC compliant, black polish formulated to safely remove light scratches and swirl marks from all paint finishes. It buffs easily, generates a deep shine and contains silicone. Medium cut polish, liquid + medium polish. 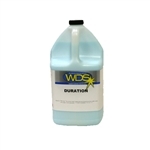 Ensures better handling on dry, old coatings or surfaces. Guarantees a perfect high gloss. Free of silicone and fillers. One quart. 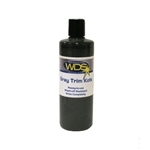 An aggressive brown lotion that safely removes medium to heavy scratches and oxidation from all paint systems. 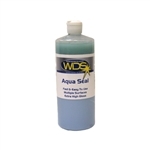 A mildly aggressive blue/green lotion that removes up to 1500 grit sanding scratches from all paint systems.